The documents disprove recent statements by Justice Department officials in recent days that said informant William Campbell’s work would not shed light on the Uranium One deal. “There is zero doubt we had evidence of criminal activity before the” approval of the Uranium One deal, “and that Justice knew about it through NSD [the natural security division],” a source with direct knowledge of the investigation told The Hill. Campbell first documented for the FBI the initial illegal activity by Russian nuclear industry officials in fall 2009 — about a year before Russian state-owned firm Rosatom won approval from the Obama administration to purchase one-fifth of U.S. uranium assets, according to the memos. Campbell, who was paid $50,000 a month to consult for the firm, was solicited by Rosatom colleagues to help overcome political opposition to the Uranium One purchase, while collecting evidence for the FBI that the sale was part of a larger effort by Moscow to make the U.S. more dependent on Russian uranium, records show. The records show that Rod Fisk, a fellow American contractor who was also with Rosatom’s commercial sales arm Tenex, discussed in 2010 with Campbell Rosatom’s efforts to buy Uranium One through its subsidiary ARMZ. Unbeknown to Fisk and his colleagues, Campbell was gathering information for the FBI that Fisk, Tenex executive Vadim Mikron and others were engaged in a racketeering scheme involving millions of dollars in bribes and kickbacks, extortion and money laundering. Fisk at the time headed a trucking firm that moved uranium across the U.S. on behalf of Rosatom. He and a later successor paid bribes to the Russians. In 2010, Fisk was transitioning from the trucking firm to become a key strategist for Tenex and Mikerin’s push to expand business in the U.S. According to The Hill, Campbell’s files also show he regularly mentioned to FBI agents in 2010 a Washington entity with close ties to Bill and Hillary Clinton that was being paid millions to help expand Tenex’s business in the United States. That entity began increasing its financial support to a Clinton charitable project after it was hired by the Russians, according to the files. Justice Department officials confirmed that Campbell’s work was valuable enough for them to have paid him nearly $200,000 over six years — mostly for reimbursement but also in compensation of about $51,000 after convictions were secured. Those officials also said the information he gathered was more significant to the counterintelligence aspect of the case begun in 2008 than the final criminal prosecutions. Campbell’s work helped FBI counterintelligence chronicle a Russian uranium strategy in the U.S. modeled after Moscow’s success in creating natural gas monopolies in eastern Europe, officials told The Hill. Part of the goal was to make Americans reliant on Russian uranium before a program that converted former Soviet warheads into U.S. nuclear fuel expired in 2013. 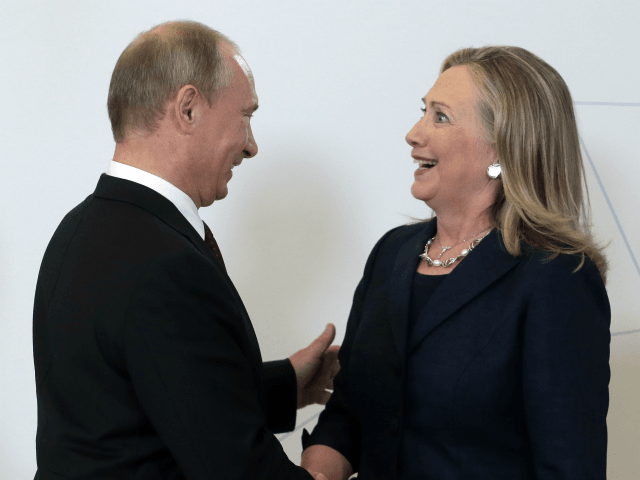 Despite this plan, the Obama administration approved the 2010 sale of Uranium One to Rosatom, handing over one-fifth of the U.S.’s uranium production capability. The administration also removed Rosatom from export restrictions and made it easier for Moscow to win billions in new commercial uranium sales contracts. Mikerin, the head of Tenex, Rosatom’s subsidiary, was sent by Moscow to “quarterback” its uranium strategy, The Hill reported. He and the head of an American trucking company later pled guilty to a racketeering scheme in the U.S.
Campbell’s FBI informant file shows that Uranium One came up several times in 2010 as the sale was pending, partly because Tenex was Rosatom’s commercial arm and would be charged with finding markets for the new uranium being mined and enriched both in the United States and abroad. Campbell was asked by his colleagues to help overcome opposition to the Uranium One deal, his files show. Campbell intercepted a report that Mikeron was sent laying out the larger Russian nuclear strategy and what Russia’s goal was inside the U.S. to gain advantage in the uranium market. Justice spokeswoman Sarah Isgur Flores told The Hill Monday that the Justice Department plans to brief members of Congress next week on Campbell’s work, the counterintelligence investigation into Russian uranium and the nuclear bribery case. “The Department of Justice has authorized the confidential informant to disclose to the chairmen and ranking members of the Senate Committee on the Judiciary, the House Committee on Oversight and Government Reform, and the House Permanent Select Committee on Intelligence, as well as staff, any information or documents he has concerning alleged corruption or bribery involving transactions in the uranium market. Until the informant publicly speaks to what he knew or knows about these matters, we are unable to respond further,” she said. Lawmakers want to know what the FBI did with the evidence Campbell gathered, and whether it warned President Obama and other leaders before they made these decisions favorable to Russia. “The essential question is whether the Obama Justice Department provided notice of the criminal activity of certain officials before the CFIUS approval of the Uranium One deal and other government decisions that enabled the Russians to trade nuclear materials in the U.S,” Senate Judiciary Committee Chairman Chuck Grassley (R-IA) told Deputy Attorney General Rod Rosenstein last week. After the Uranium One deal, Campbell “confronted” one of his FBI handlers and said the U.S. had given Mikerin a work visa despite evidence of criminal activity, a source familiar with his planned testimony told The Hill. According to the source, the agent responded back to the informant with a comment suggesting “politics” was involved. The sources familiar with the full body of Campbell’s work told The Hill they expect he can provide significant new information to Congress.